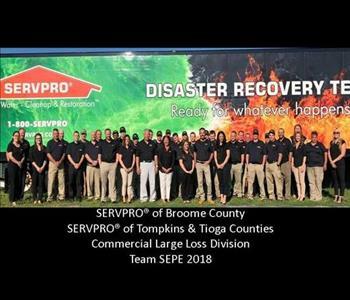 SERVPRO of Broome, Tompkins & Tioga Counties has over 35 employees amongst our Marketing, Office, Production and Commercial Large Loss Divisions. Our franchise is an IICRC and EPA Lead Certified Firm. Every employees is SERVPRO ECTP certified in Crew, Water, Fire, and Carpet Cleaning. Our senior management, Production Managers, Crew Chiefs, along with Production Technicians have additional certifications in IICRC ASD -Applied Structural Drying, IICRC WRT-Water Damage Certification, IICRC SRT Fire & Smoke Damage Restoration Technician, IICRC AMRT- Applied Microbial Remediation Technician, IICRC OCT- Odor Control. 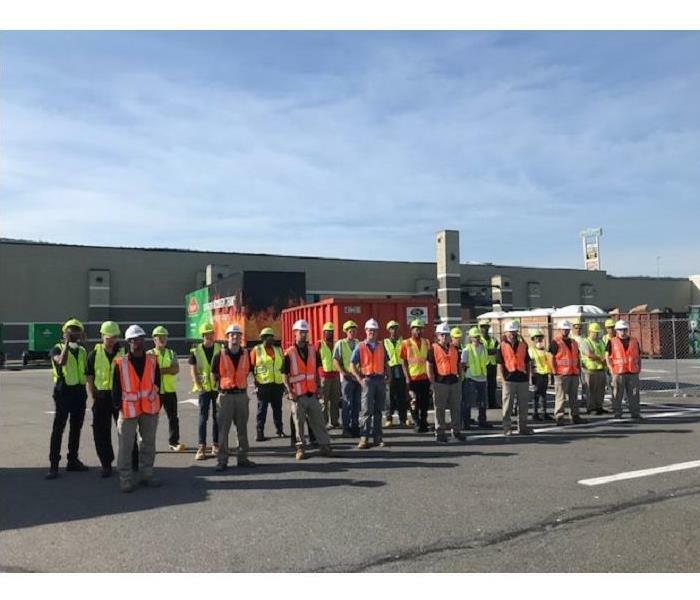 OSHA 10- Entry Level Workers, OSHA 30 for upper management. Additional Certifications can be found under company profile page.